International Movement We Are Church: Agenda Latinoamericana 2014: "Libertad! Libertad!" 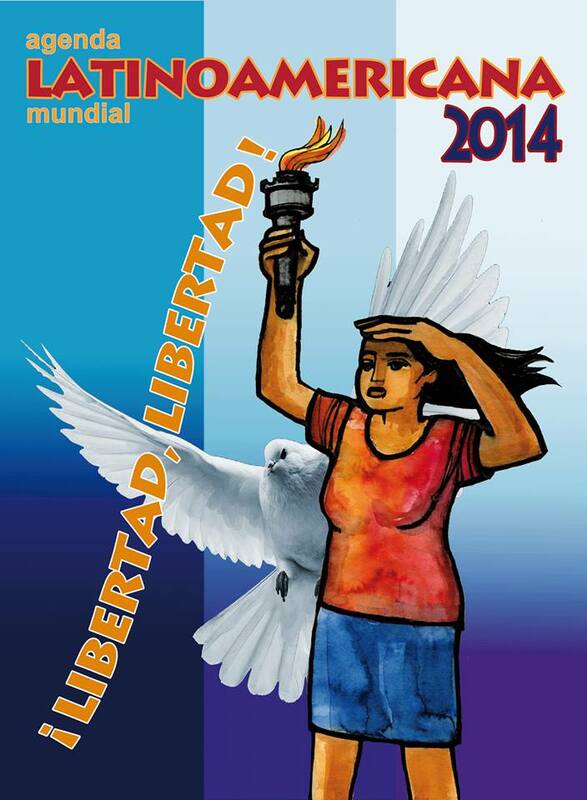 Agenda Latinoamericana 2014: "Libertad! Libertad!" Dom Pedro Casaldaliga has just published his introduction to the 2014 edition of the Agenda Latinoamericana, which addresses the issue of freedom. We are pleased to bring it to you here in English. Previous issues of the Agenda are available on Servicios Koinoniaand the Agenda now has a Facebook page too! Our 2014 Agenda welcomes the invitation by making freedom its subject and challenge. Mercedes, with revolutionary tenderness, characterizes freedom as something tiny. What tininess! Tiny and grand, like the mystery of the freedom of every person and every people and all of human history. Tiny and tender as a fetus, as awesomely large as hate. Oh, freedom, freedom! In your name, the most beautiful heroic actions have happened and the greatest iniquities have been committed. You are a banner of life and a banner of death. We speak of liberty and we speak of liberation. Liberation cannot be sidestepped through spiritualism or disembodied personalism. Freedom is political; in our Agenda, it's political with that clear option that the Zapatistas advocate: "always from below and on the left." True freedom is communitarian, an exercise in give and take relationships. I'm free if you're free. "There is no freedom without equality." Nor is there freedom without dignity, a dignity that's so often killed by ideologies and systems, a victim of individual or collective selfishness, but also victorious through exemplary acts of resistance that make a way from behind bars, through marginalization, torture, and censure. The list of martyrs to freedom is infinite. On the occasion of the commemoration of the misnamed Discovery of America, the Agenda Latinoamericana y Mundial was born to stimulate alternative awareness and action. And this awareness and action would translate into service to the Great Causes, Our America, the Third World, the World. And in each Agenda, we go on highlighting the critical historical moment of those Great Causes. The signed texts are the responsibility of the author, but the whole Agendabrings together contentious burning issues, in a broadly ecumenical and macro-ecumenical spirit. By talking together again and again we become more humane. In going over the 22 editions of ourAgenda, it's comforting to see how this dialogue has taken effect and been updated, how grassroots activists, students and professors, politicians, pastoral agents, and community facilitators have come into the arena. Mercedes' song asks us to "go together to seek" freedom and liberation. Let's stimulate the awareness that we bring and carry "a people in our voice" ("un pueblo en nuestra voz"). Let's not let "that tiny thing" that guarantees our dignity be snatched away from us. "Es nuestra tierra la que espera sin distancias ni fronteras" ("It's our land that awaits without distances or borders"). Against all tyrants, despite all empires, getting outraged every day and translating our outrage into unstoppable acts and processes. Without fear of Freedom, which is the most dehumanizing fear. Without fear of Freedom, that is, without fear of Life.